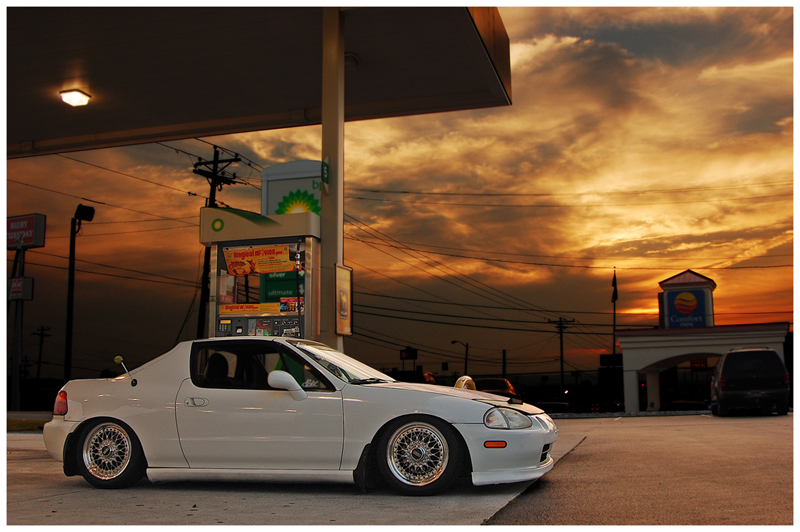 This clean white Honda Del Sol is slammed on a set of 15″ Silver BBS RS wheels. The Del Sol appears to have a Carbon Fiber Hood and a Front Lip. The car is also pretty low tucking the tires in to the wheel well front and rear. This entry was posted in Honda and tagged 15" BBS RS, BBS RS, Honda Del Sol by admin. Bookmark the permalink.